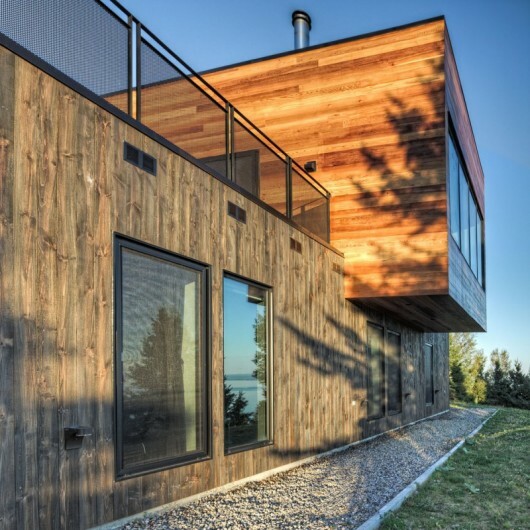 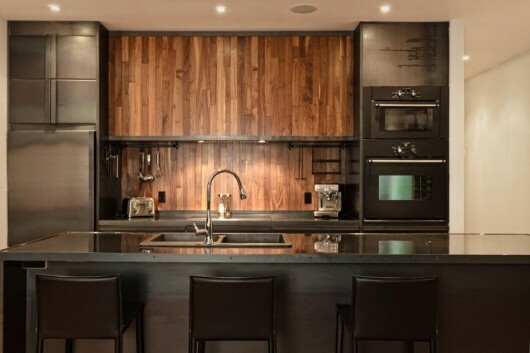 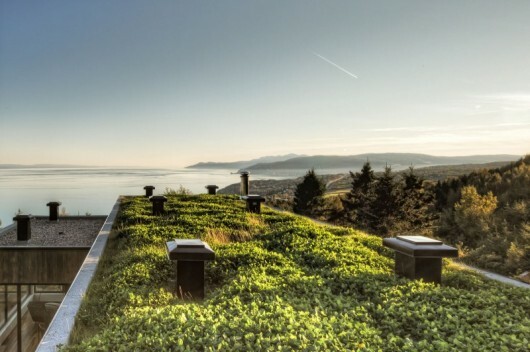 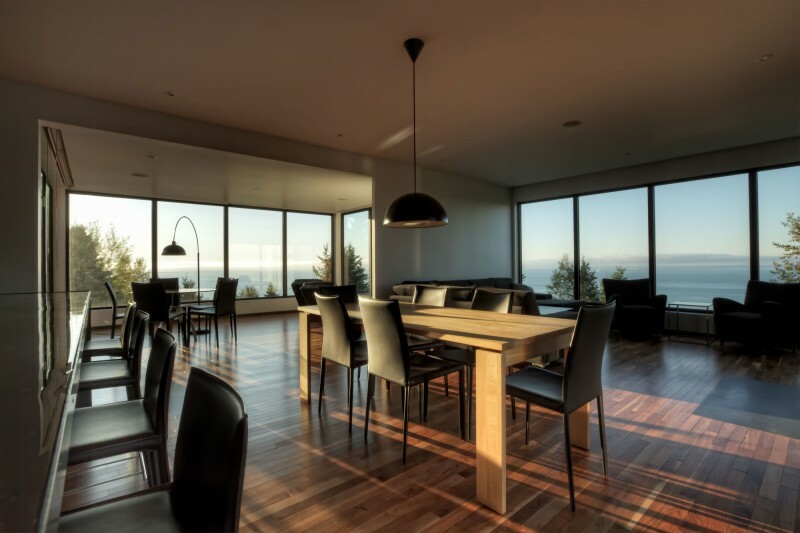 The Malbaie V Residence | Shelby White - The blog of artist, visual designer and entrepreneur Shelby White. 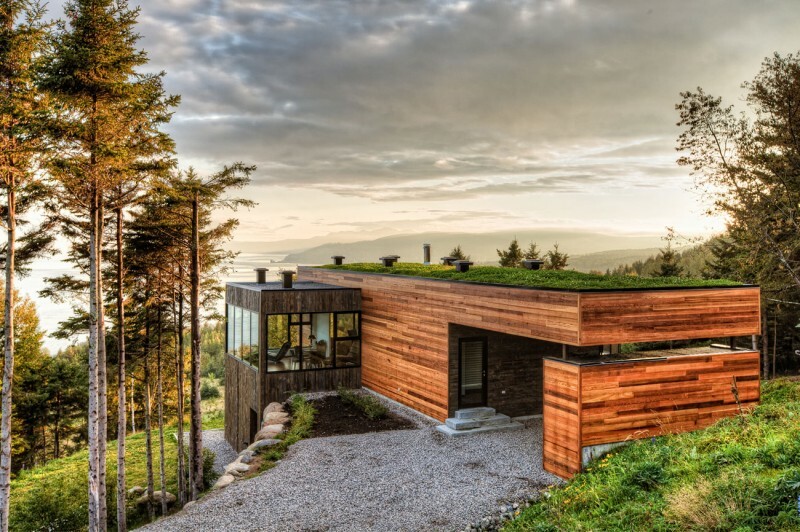 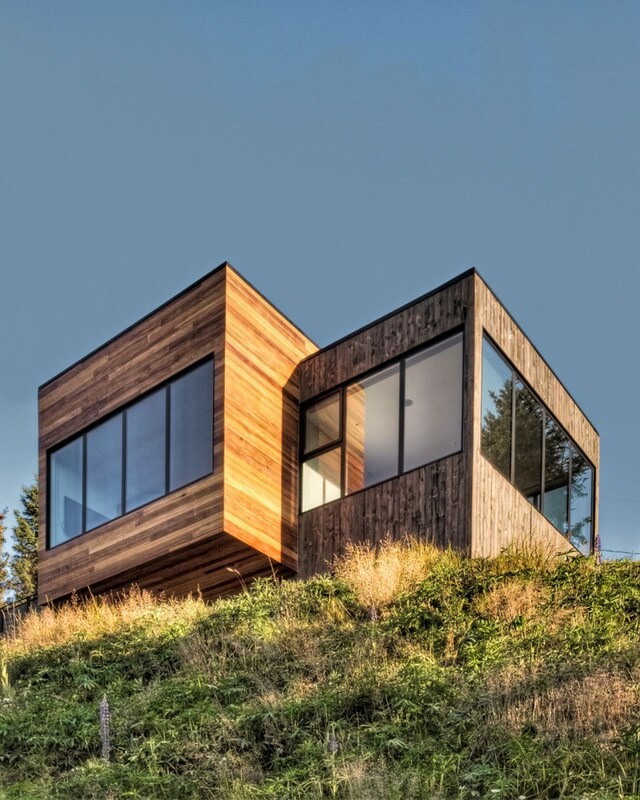 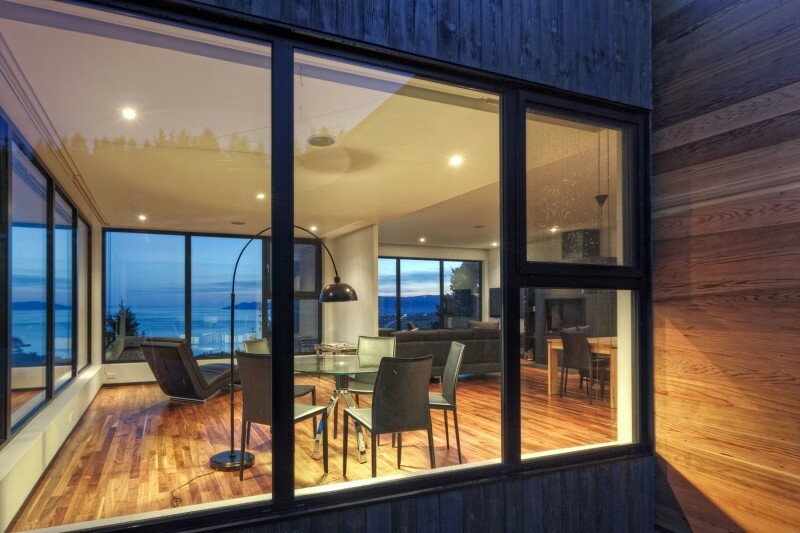 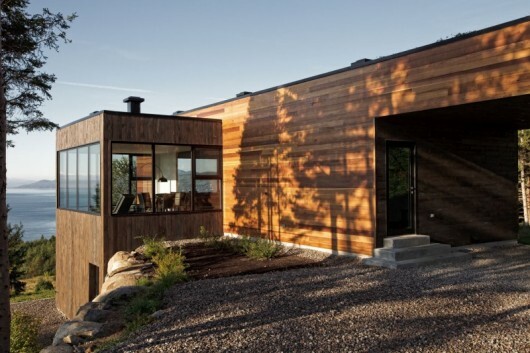 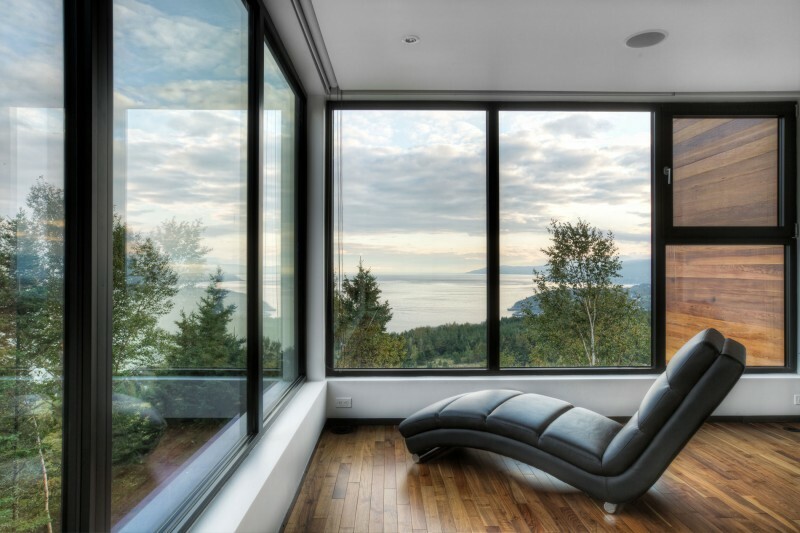 Montreal-based studio Mu Architecture designed the Malbaie V Residence on the hillside above the St. Lawrence River in Charlevoix, Quebec, Canada. 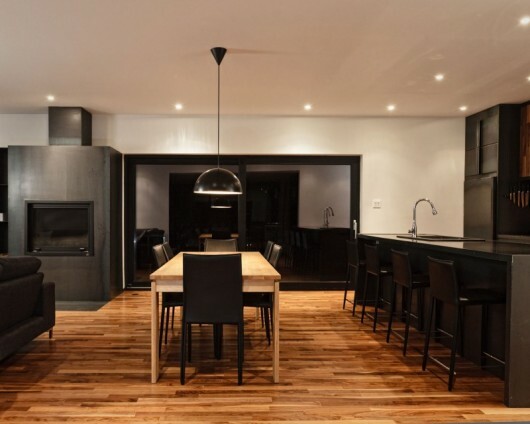 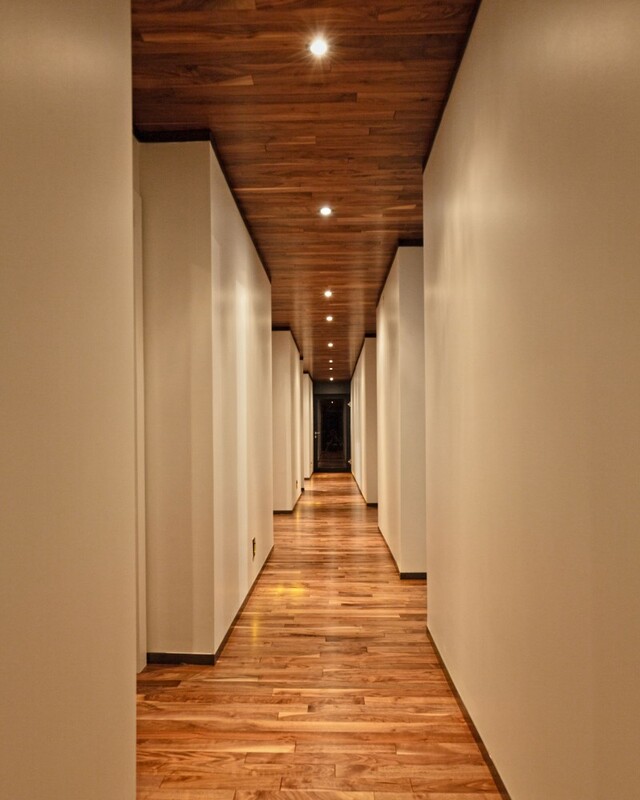 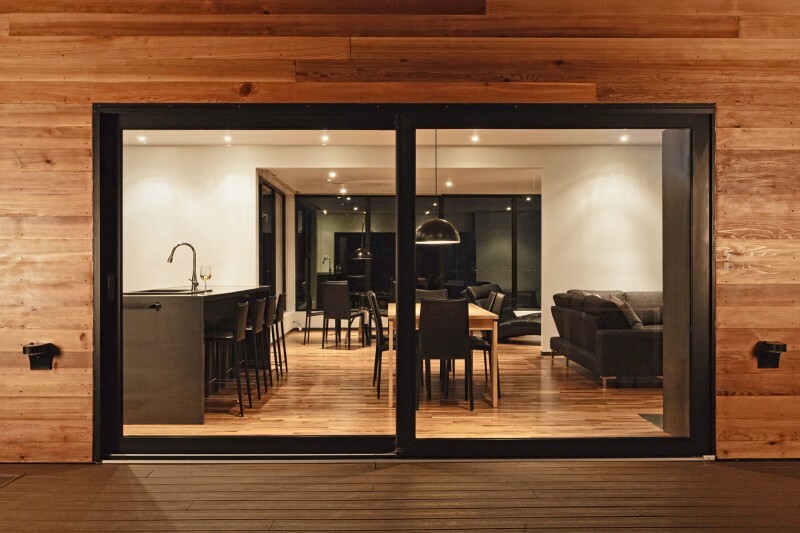 The house is warm and while being simple and clean, it establishes its own modern, business class retreat style. gravel driveway, front door, green living on top, awesome!! dunno what all those chairs are for.. i don’t think i’d invite that many people to my house haha blacked out furniture is cool..
maybe shoot an elk from my roof? ?